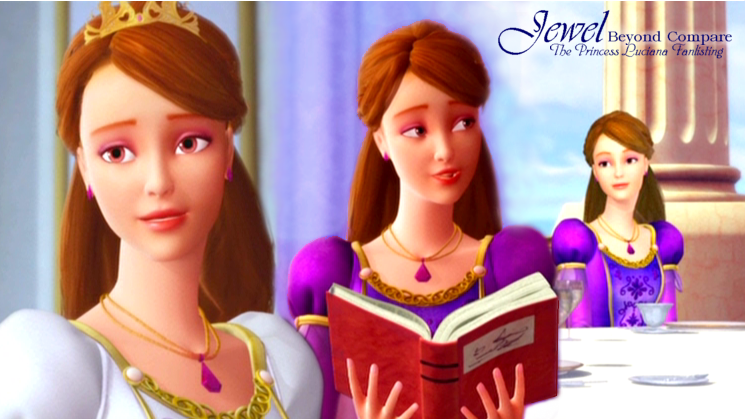 Hello, and welcome to the fanlisting for Princess Luciana from the movie Barbie as the Island Princess. Use the navigation to the right to view the different pages of the site, and if you're a fan of Luciana, please join! One new member: welcome to Gianna! Princess Luciana and all other characters, items, and situations related to Barbie as the Island Princess are property of Mattel, Rainmaker Entertainment, etc. I am not affiliated with them in any way, and I am making no profit from this fanlisting save enjoyment.